* All students do this experiment in pairs. 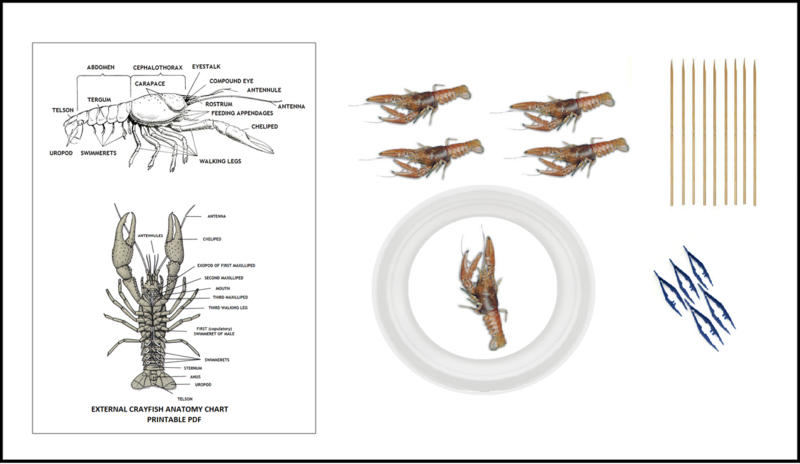 Use the tools (chart, forceps, probes) for each student to examine the crayfish. Once open, you can rotate these between classes. They will slowly dry out once removed from the original package. (1-2 weeks). Our preserved specimens are prepared in the United States. Enclosed in a bag with a non-toxic holding solution. (Not Formaldehyde). The specimens are originally preserved in formaldehyde, then rinsed and stored in Nebanol. 1. Fluid in the bag is normal and OK.
2. Store at room temperature in the original sealed bag for 6- 9 months. 3. Do not store with food items! 4. Do not add water to the specimen bag, it will cloud the solution and allow bacteria growth. 5. You can use 70% Isopropyl alcohol if you need a rewetting solution or short term storage solution. 6. Always wear appropriate safety glasses and disposable gloves while handling the specimens. 7. Open the bag when you are prepared to complete the dissection. 9. After the dissection, dispose of the specimen, fluid and any disposable items in your normal trash disposal. 10. Wash any non-disposable items with hot soapy water and dry before storing. 11. Disinfect the work station with hot soapy water or disinfectant spray. 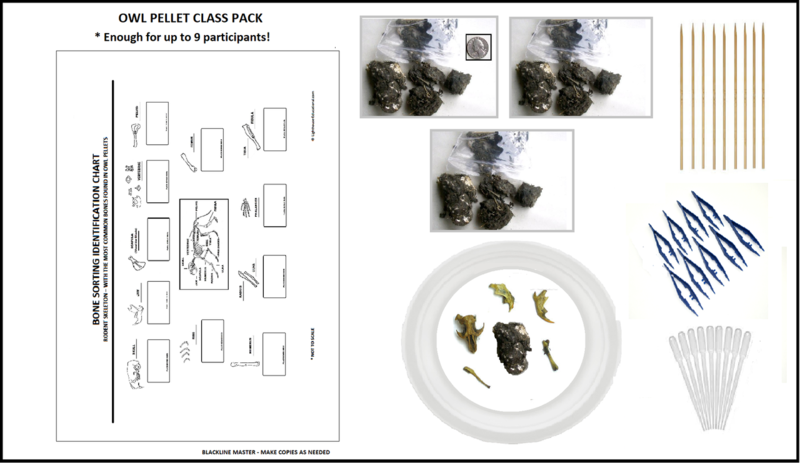 Click here for DISSECTING TOOLS if you want to dissect the specimens (Download easy dissection instructions online).